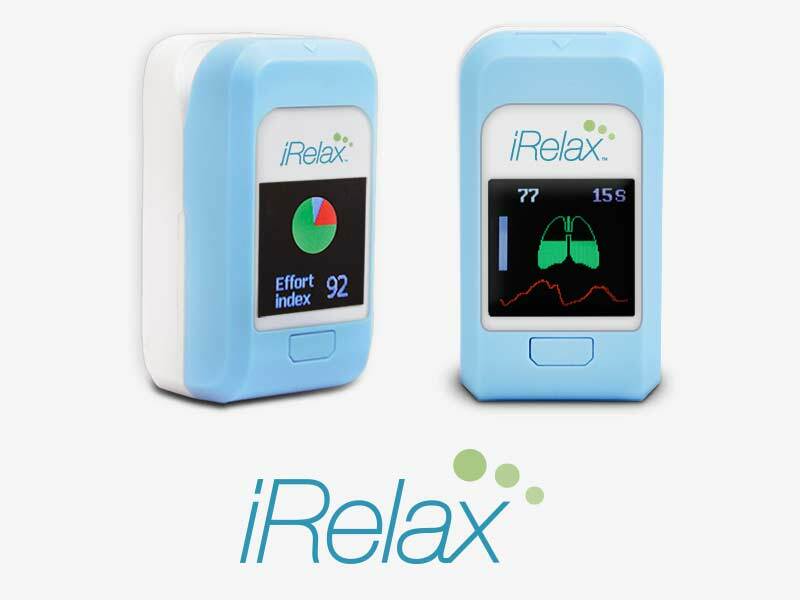 iRelax® is a personal stress manager that uses biofeedback to aid the user in relaxing and managing stress. It guides user’s respiratory pace with gradual, slow, steady, and deep respiration. It is the size of a fingertip pulse oximeter, which makes it easily portable and usable just about anywhere. iRelax® combines breath guidance training with heart rate variability biofeedback technology. Relaxation is measured by comparing respiratory rhythm with heart rate variability. Intuitive and easy to follow, this biofeedback device displays a graphic guide for its user’s breathing rate to achieve the desired level of reduced stress and to increase user’s relaxation.